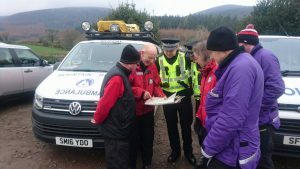 On 8 February in the afternoon Police Scotland requested the assistance of Moffat Mountain Rescue Team to locate two missing walkers near the summit of Criffel. The two walkers had set out in the morning to climb to the summit of Criffel, soon after reaching the top the cloud descended and they became disorientated. After initially trying to find their way below the cloud they returned to the summit and called for help. As they were near some steep ground the team advised they should stay where they were while a team made their way to their location. Three team members set off to the summit while further members stood by at the base of the hill in case additional equipment was required. The walkers were successfully located by the team and walked to safety from the hill. Moffat MRT has set the date for next years fundraising charity challenge event for 11 June 2017. 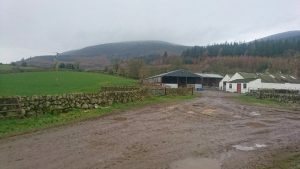 The challenge in 2017 will return the the Moffat Hills with some new walks.